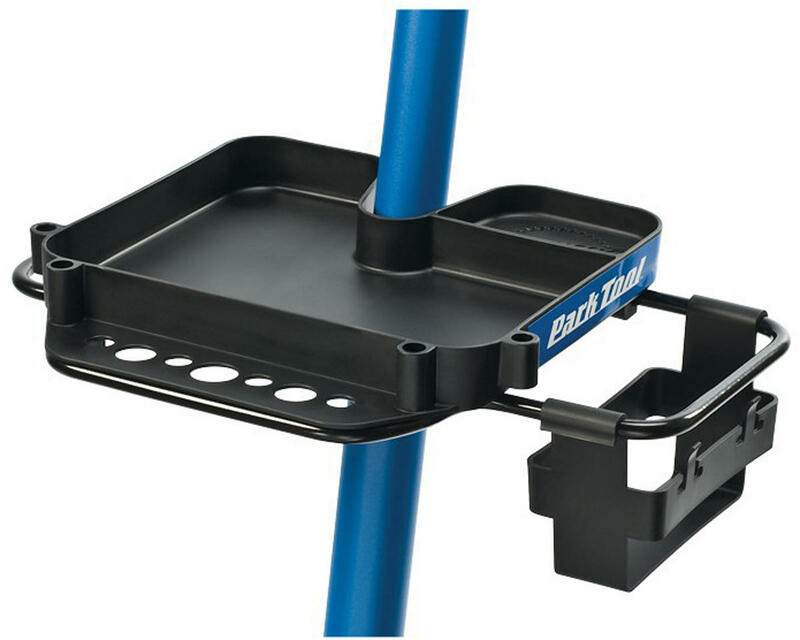 This is the Park Tool 106 Repair Stand Work Tray. 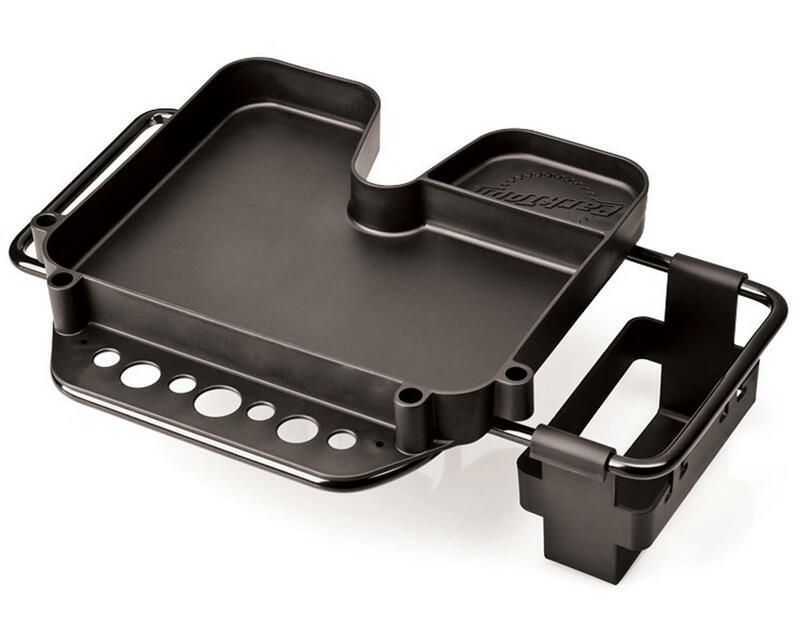 This work tray is a must have repair stand accessory and makes it easy to keep tools, lubes and spare parts within easy reach. The 106-Tray Fits directly onto all PCS-10, PCS-11, PRS-15 and PRS-25 Repair Stands, and also fits 2012 and newer PRS-20 and PRS-21 Repair Stands. 2011 and older PRS-20 and PRS-21 Repair Stands, and 1996 and newer PCS-1, PCS-4, PCS-4-1, PCS-4-2 Repair Stands with 41mm (1-5/8”) upright tubes, require the optional 1707.2 Adapter Collar (not included). PCS-9 Repair Stands, and 2003 and newer PCS-1, PCS-4, PCS-4-1, PCS-4-2 Repair Stands with 35mm-37mm (1-3/8”) upright tubes, require the optional 106-AC Accessory Collar (not included). Receiver pods to accept PTH-1 Paper Towel Holder (available separately).